For many tech-based startups, innovation is a driving factor. In other areas that attract SMEs – service industries, handmade goods, small scale manufacturing, etc. – innovation is usually less common. Avoiding the “falafel shop” syndrome – Too many entrepreneurs see a successful business and try to copy it (in the Middle East it’s falafel shops – in the tech industry, at least lately, it’s daily deal websites). The new business may change a few small things – the menu, the prices, the décor — but their offering is really no different from the competition. An innovative business provides unique value that customers can’t get elsewhere. It’s not just about differentiating your business with marketing or slogans. It’s about taking a chance on a different type of business than everyone else. An innovative mindset makes you more agile – Innovative thinkers are open minded, tend to try new approaches and are not afraid to fail. These traits also make you more agile, and better able to respond to changing market conditions. Innovative thinkers are also more creative problem solvers. When everyone in your company is trained to think creatively, it enables you to respond more quickly and efficiently to customer, supplier and internal issues. Innovation tools keep you focused – You probably know at least five people who say they are entrepreneurs or want to start their own business. But there is more to being your own boss than just following your dreams and filling out the paperwork. Remember, it’s not really about you, but about your potential customers. There are many innovation tools that can help you offer unique value or solve a problem for customers. These tools will make your offerings more focused, and your team more focused on a clear goal. The competition is not who you think it is – Industry lines are blurring as companies seek new ways to offer value. This makes it hard to recognize the competition, and also means there is more competition than ever. Instead of starting out by comparing yourself to your industry peers, spend time uncovering the real needs of the market you are trying to serve. What are their pain points? How do they solve their problems, and how could you help them do it better? This up-front work may take your business in a completely different direction than you were headed (and it also works for existing companies that are struggling). Disruptive ideas get funded – If you’re looking for venture capital or other funding for your startup – or even hoping to sell your small business to a larger company – having an innovative product or service is one of the most important criteria for even getting your foot in the door. Even better is a disruptive innovation that changes the market landscape. Investors are looking for unique offerings and business models that are likely to score big in the near future (based on customer insights and market trends). Of course other factors matter, such as your profitability and management, but if your idea is innovative, an investor will know how to make it profitable and manage the business well. The best publicity is free – SMEs don’t often have a big marketing or public relations budget (and most startups spend too much on marketing and PR, leaving other functions hurting). However, with the rise of social media websites, your business can get free marketing and publicity. If you have an innovative business model or innovative offerings, your efforts here could pay off big as other people freely share information about your company. It’s called going “viral” and the innovators rule this space. Your resources are limited– As an SME or startup, you probably have limited resources, especially when it comes to people. Using an approach like open innovation or crowdsourcing, you can tap into the creativity and expertise of people outside your company. These could be customers, suppliers, partners, or even people who have never heard of your company. Their ideas and problem-solving skills can help you innovate your offerings – and you’ll get free publicity, too. You owe it to yourself – Starting and running a business is a lot of hard work (believe me, I know). You have probably invested a lot of time, money, sweat and tears in making your business work. You want it to be successful for a long time. The trick is to always offer something that people want, at a price they can afford and that sustains your business. Innovation can help you reinvent your offerings, or even your business, as customer needs change. By staying innovative, you keep your customers coming back and attract new ones – and you get the satisfaction of running a successful business. It’s important that entrepreneurs and small business owners understand that everyday innovation is not only possible, it’s essential for their continued success. You may think that entrepreneurs participate in startup accelerators to receive seed money, or to have a place to do their work. Although these are popular reasons, they are not the only ones (nor are they the most compelling). 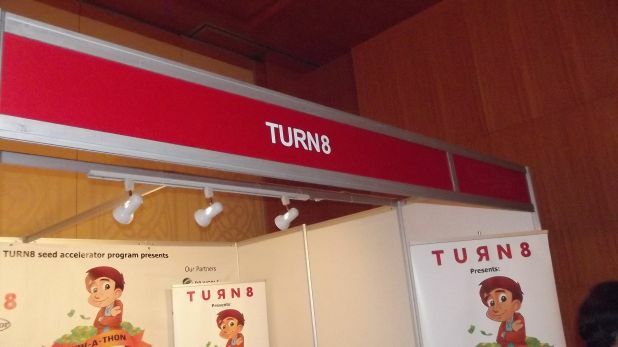 Below are 10 reasons why entrepreneurs join accelerators, such as the TURN8 seed accelerator. Future Capital – One of the most important reasons entrepreneurs join accelerators is to make connections with potential investors who can provide capital to operate the new business after the accelerator program ends. Many accelerators work closely with sponsors and private investors, and some even provide a valuation of the new business that helps investors see its potential. Mentorship – Many people who participate in accelerators are starting their first company and, if they’re smart, will want to avoid the mistakes that new companies often make. Accelerators offer an opportunity to learn from experienced entrepreneurs, such as the founders, guest speakers, and mentors that offer their guidance and support. Camaraderie – Starting a business is hard work, and it’s easy to get discouraged if you’re all alone. Accelerators enable entrepreneurs to support and encourage each other. Plus, studies have shown that people are generally more creative when they are in an environment with a moderate noise level. Product Feedback – When an entrepreneur enters an accelerator, usually their idea is still a work in progress. This is the time to gather feedback on their product or service to improve it and make it innovative. Accelerators assist with this through mentorship, market research and even feedback from the other startups in residence. Business Education – Every new business faces common issues as the company grows. Many accelerators arrange guest speakers to help participants anticipate and overcome the challenges associated with hiring, additional funding, go-to-market strategy and more. Teambuilding – Once a business is launched, processes and people need to be in place to ensure things run smoothly (you never get a second chance to make a first impression). Accelerators offer entrepreneurs a chance to find and get to know their team, to ensure the right people are on board before the big day. Financial Support – Even if a startup team is willing to work for free, every new business needs money for operating expenses, not to mention marketing and distribution or support costs. Accelerators typically offer a small amount of capital to the entrepreneur, in exchange for a share of equity in the resulting business. Workspace – Entrepreneurs and their teams need a place to work, brainstorm and meet potential team members or investors. Accelerators offer a professional environment (as opposed to someone’s house or a coffee shop) in which to do this, as well as computers, printers, copiers and other office equipment that entrepreneurs may not be able to afford to buy on their own. Company Registration – Paperwork is a necessary part of starting a business, but it can be a time-consuming and confusing task (especially in the UAE). Many accelerators retain legal staff to help entrepreneurs complete the documents required to register their new business, apply for patents and copyrights, review property leases, etc. Reputation – For participants who are accepted to well-known accelerators, simply graduating from the program adds authenticity and relevance to their new business. Of course, this is a two-way street – successful entrepreneurs enhance the reputation of the accelerator, as well!